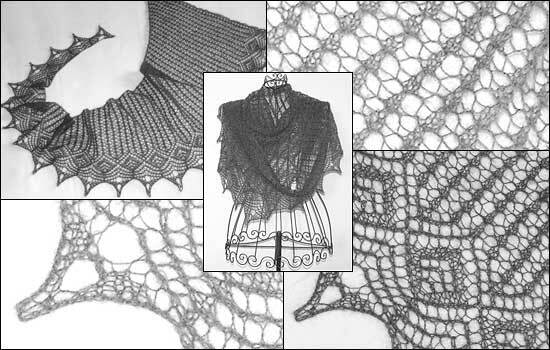 The shawl *Stella* is similar in its shape to the bestselling pattern *LazyKaty*. The shawl has an arched, asymmetrical triangular shape. One edge is wider than the other. Cast on a few stitches and work a simple, easy to memorize lace pattern between increases. Continue increasing until you have reached the desired length / width of your shawl. Finish with the edging. Fast to knit, but an eyecatcher nonetheless!